A new record by Starsailor? This announcement made me prick up my ears. Although I had lost sight of the band for over a decade, its first two albums remain a fond memory of the mid-00s music that came into my life at the time. I saw the band perform about three songs, when a 19.30 hours show, really started at 19.30 and we got in just after 20.00, so we just had a beer instead. Times had changed apparently. Not long before that date artists playing in Amsterdam did not mind letting their audience wait for an hour or more as they frequented The Bulldog or some such place near Paradiso and De Melkweg. All memories aside, how is the new album? The opening of the album sounds so familiar. It took me back to the best songs of Starsailor's debut album 'Love Is Here'. Looking it up the album is about three years older than I thought. 2001, eh? Time sure flies. It holds all the familiar sounds that make up a Starsailor song. Of course that starts with the typical voice of James Walsh. Underneath the band creates a dreamy rock vibe that always has a melancholy undertone. There seems always to be something to pine for in James Walsh's universe. Music in which the guitar is equally important as the piano. This instrument always plays drawn out, with lots of space between the notes, creating a huge part of the melancholy this way. As if the music stands still, while moving forward anyway. Starsailor does not stop at the more uptempo Starsailor rock. When the band slows down, I swallow hard. This is not the direction where I want All This Life to go. And it isn't. There is so much variation, that make me put up All This Life with 'Love Is Here' and 'Silence Is Easy'. Undoubtedly All This Life is the result of hard work in the past year (or two). It gives the impression though that it is the distillation of the best work in the past eight years, between the release of 'All The Plans' in 2009 and the release in 2017. (I notice a pattern in the album titles, the third is 'On The Outside'.) So much so that I don't have any trouble valuing All This Life above 'Silence Is Easy'. Let's go back to the start. 'Listen To Your Heart' has the kind of urgency I haven't heard from The Killers for years. At the same time the energy of The Rifles on the band's debut album sounds through. It makes 'Listen To Your Heart' much more direct that anything I remember by Starsailor. Admittedly I haven't listened to an album for perhaps over a decade. Still I'm totally surprised by the song as it has a sense of urgency around it, an urgency Starsailor will need to win back the lost years and fans; here's one for starters. That is not all. Starsailor comes up with a great melody to match the urgency, making 'Listen To Your Heart' a perfect pop-rock song. The title song continues in this vain. The solid rhythm section, James Stelfox (bass) and Ben Byrne (drums), tells me to make no mistake, they are back in business. 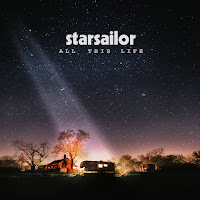 They are very present on this album, being part of why I think Starsailor is far more solid than circa 13-15 years ago. It is in song four, 'Caught In The Middle', that I thought 'o.k., so that was it'. A modern soul sort of outing, that I have a hard time listening to. There are a few things to hold on, like the solid bass, but to my mild surprise, the album turns in all the right ways. The tempo goes down significantly, yet 'Sunday Best' is the sort of ballad that I like Starsailor to present. The laidback version of 'Alcoholic' or 'Lullaby' from 2001. With some fierce guitar sounds mixed into the back and the languorous piano played by Barry Westhead, James Walsh's voice only has to top the song of, which it does superbly. The intro to 'Blood' sounds extremely familiar, although I can't place it. The concerns are over when the song progresses. Again there's this piano magic, joined by an organ that holds all the long notes, creating a fine balance between the two keyboards. Again a song that holds a little bit of magic. By then it is abundantly clear that Starsailor returns with a majestic album. It's too early to tell, but it may be the band's best too date and certainly one of the finest albums of 2017. I come to that conclusion on a simple rule. The urgency and quality does not leave the album after I am halfway. Yes, the best song is the first one, of course, that's just smart. It is a pleasure though to listen to a song like 'Fallout'. It has a drive and urgency of band that set to convince listeners it has a right to exist. The mystery of 'FIA' brings some more variation, the ease of 'No One Else' brings it all to a close. Although an ending like 'Listen To Your Heart' would have made All This Life perfect. Now it is good. If Starsailor was a band that was allowed to follow in the slipstream and try and copy the success of Coldplay's 'Parachutes', in 2001, in 2017 it defeats its teacher in all ways. With All This Life it has made an album Coldplay can only dream of making and perhaps not even that. 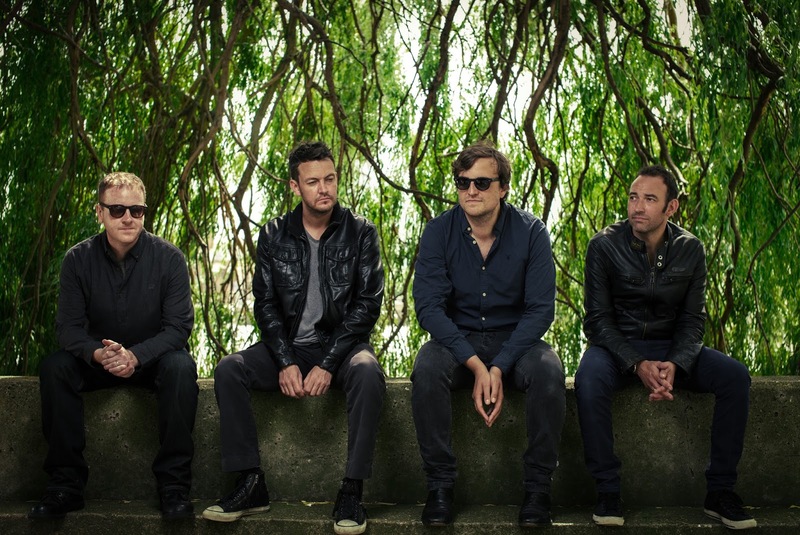 Starsailor has made a comeback after eight years of silence. Whether that was easy, is something only the band can answer. 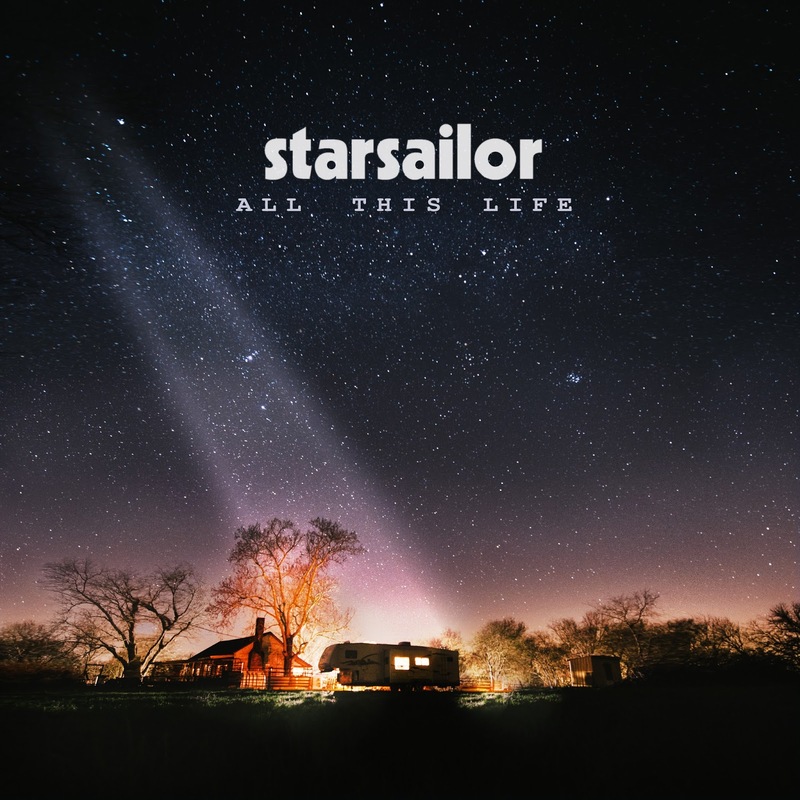 With All This Life in the can, Starsailor has given itself a great reason to go back out on the road and show the world what it's worth. A lot judging from what I've heard just now.